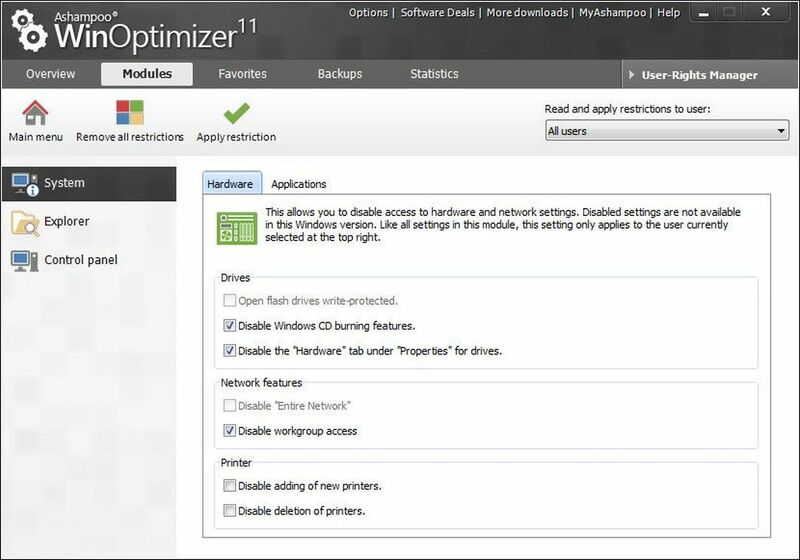 Ashampoo WinOptimizer 11 geeft je snel en eenvoudig maximale veiligheid en prestaties. Wil je graag dat je computer sneller en veiliger wordt, dan kan WinOptimizer je daarbij een handje helpen. Het biedt snel, eenvoudig en efficiënt, maximale veiligheid en prestaties. 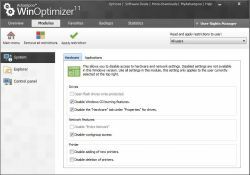 Bespaar tijd en krijg werk gedaan met WinOptimizer 11. Windows naar jouw wens aanpassen - flexibiliteit door aanpassen van verborgen systeeminstellingen, wijzigen van bestandstype koppelingen of van de contextmenu items. 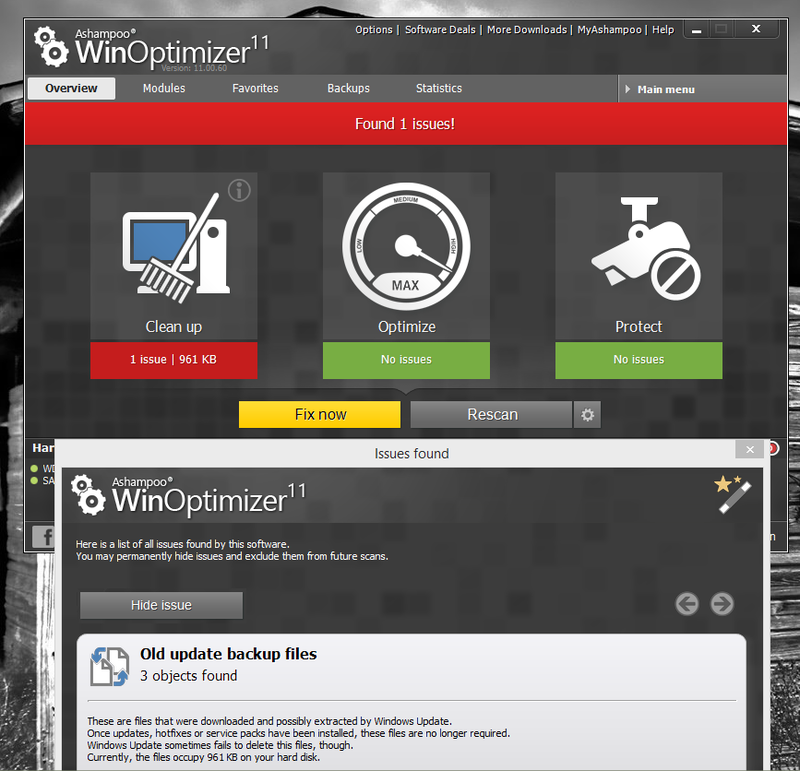 Ashampoo Winoptimizer 11 is nu freeware (met registratie). Weet iemand hier het fijne van ? 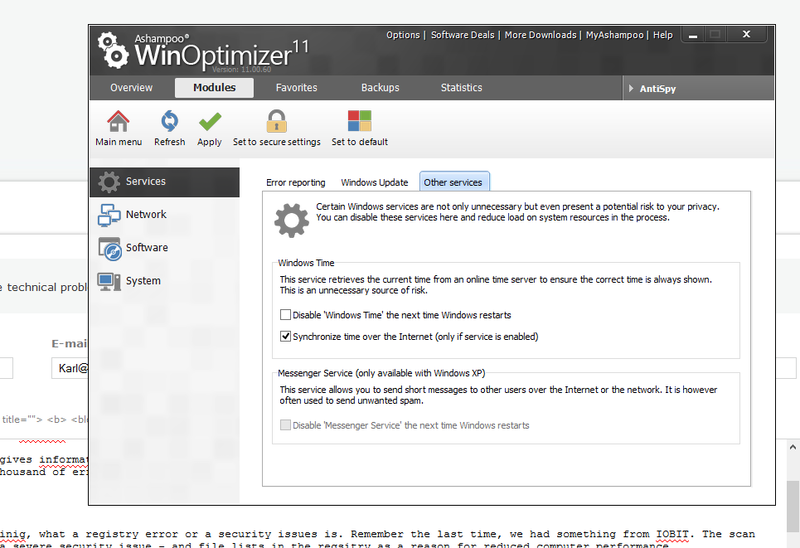 Aanvulling: zag ergens op het net: Ashampoo Winoptimizer 11 is nu freeware (met registratie). Weet iemand hier het fijne van ? Aan de US-kant geeft Karl op zijn geheel eigen (cynische) wijze als eerste kommentaar. Heb daar niets aan toe te voegen. Vandaag een programma van Ashampoo. Dit betekent zoals vaak, geen GOTD-beveiliging, de aanvraag van een code bij de maker en de Nederlandse taal. En in een volgend scherm kan de knop worden aangeklikt om de code aan te vragen. En later zie je de code in beeld staan. Haarwas heeft geluk. En na controle kan de installatie verder worden uitgevoerd. En natuurlijk zijn er fouten. Enkel de klik op de rode knop gaf in eerste instantie aparte info. Het blijkt dat onder de blauwe pijlen de andere meldingen staan. Als je ze niet wilt veranderen, kun je ze verbergen. Ik heb Betalend Winoptimizer 9 en 10 gebruikt en ook 11 gekocht en geïnstalleerd. 10 gebruik ik nu nog steeds, overigens tot volle tevredenheid. Nadat ik 11 installeerde verloor ik bij het opschonen mijn Jump-lists van Word en mijn Browsers, hoewel ik dat in de instellingen had afgevinkt. De help-desk van Ashampoo heeft dit nagezien en zijn er niet in geslaagd dit op te lossen. Het kan zijn dat dit alléén bij mij voorkomt. In ieder geval werd ik correct terugbetaald. Maar een Systeemkopie en een herstelpunt, zodat je na gebruik terug kunt, moest je het zelfde voorhebben. @Allamaal, Ik heb Betalend Winoptimizer 9 en 10 gebruikt en ook 11 gekocht en geïnstalleerd. 10 gebruik ik nu nog steeds, overigens tot volle tevredenheid. Nadat ik 11 installeerde verloor ik bij het opschonen mijn Jump-lists van Word en mijn Browsers, hoewel ik dat in de instellingen had afgevinkt. De help-desk van Ashampoo heeft dit nagezien en zijn er niet in geslaagd dit op te lossen. Het kan zijn dat dit alléén bij mij voorkomt. In ieder geval werd ik correct terugbetaald. Maar een Systeemkopie en een herstelpunt, zodat je na gebruik terug kunt, moest je het zelfde voorhebben. Succes! Activeringscode aanvragen lukt niet. De link reageert niet! 10 The best optimizing tool is the keyboard, not one-click apps. Know what you're doing. My 10 Commandments on optimizing Windows: 1 Don't do too much optimizing 2 Leave the registry alone 3 Leave system services alone. They consume negligible resources 4 Don't run third party monitoring apps in the background. They consume resources 5 Prevent apps that start with the system unnecessarily 6 Don't add too many context menu entries. They slow down normal use and can cause instability 7 Leave satisfactorily working drivers alone 8 Cleaning of temporary files only creates temporary space, no performance gains 9 Only defragment sparingly, never SSDs 10 The best optimizing tool is the keyboard, not one-click apps. Know what you're doing. 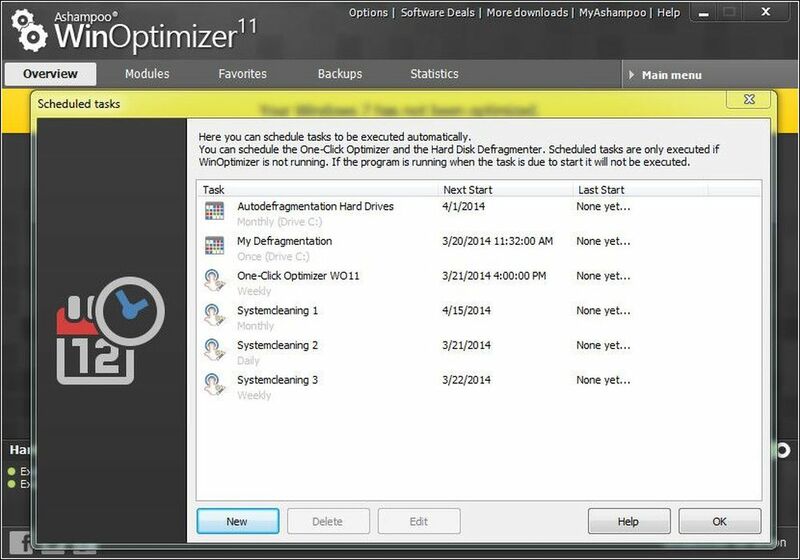 I have WinOptimizer 2012 is WinOptimizer 11 an upgrade of that or the same as ? Bubba, why are you so unfriendly in your comments? No wonder that your comments are massively down-voted on this board. A German company with all legal information. Strong on marketing, strong on sales promotions or strong on SPAM. You can decide. One of the system tuners, boosters, washers, repairs, cleaner and "feel good, because your systems feels good" program. You'll be happy if your computer is happy. After start a dark, not resizable window opens, it gives information about drives (temperature), memory and computer. You can make a quick scan. A first scan showed something unexpected. NOT the thousand of errors, which slow down my computer, make the performance to "medium", the security to "RED RED RED! ALERT". It seems, that this software is conservative in defining, what a registry error or a security issues is. Remember the last time, we had something from IOBIT. The scan results of the Windows Defender had been marked as a severe security issue - and file lists in the registry as a reason for reduced computer performance. Under modules you'll find a lot of options. One we had in the last time. Remember the atomic clock? And a file encrypter with the possibility of creating self-decrypting EXE is also existent. This is more than an optimizer. It is a complete toolbox. Makes a good impression. Uninstalled via reboot, don't need this. Installed and registered without problems on a Win 8.1.3 Pro 64 bit system. A German company with all legal information. Strong on marketing, strong on sales promotions or strong on SPAM. You can decide. One of the system tuners, boosters, washers, repairs, cleaner and "feel good, because your systems feels good" program. You'll be happy if your computer is happy. After start a dark, not resizable window opens, it gives information about drives (temperature), memory and computer. You can make a quick scan. A first scan showed something unexpected. NOT the thousand of errors, which slow down my computer, make the performance to "medium", the security to "RED RED RED! ALERT". http://i.imgur.com/lM8thzw.png It seems, that this software is conservative in defining, what a registry error or a security issues is. Remember the last time, we had something from IOBIT. The scan results of the Windows Defender had been marked as a severe security issue - and file lists in the registry as a reason for reduced computer performance. Under modules you'll find a lot of options. One we had in the last time. Remember the atomic clock? http://i.imgur.com/dZHq9X9.png And a file encrypter with the possibility of creating self-decrypting EXE is also existent. This is more than an optimizer. It is a complete toolbox. Makes a good impression. Uninstalled via reboot, don't need this. Indeed a more conservative package than the recent offering by IObit and the number of "errors" reported are down to a somewhat acceptable level. However, my view on the subject still is the same an I'll more or less repeat the main part of the review I did for IObit. This time, with a recommendations and an additional warning considering it. Ask yourself one question: Is there something wrong with my machine that I notice in my everyday work? If the answer to that is no, why would you try to fix what is not there? Even if the answer to the above question is yes due to a single reason, I will advise you to search the net for that single reason rather than using any 1-click-for-all utility. I mention this because as a senior consultant I have many times had to repair operating systems due to customers' eagerness in fixing their working computers. The only time I may advice using these utilities is if a system is generally unstable for no apparent reason, but only after verifying that the trouble is not caused by this short list of what I have experienced to be the real reasons why people have trouble with their machines. 2. 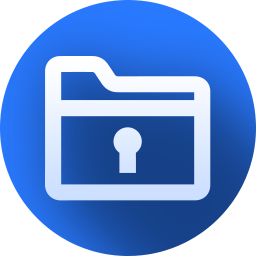 Insufficient rights to access files or folders. Usually I do find the reason checking the first five above. On General scale, most 1-click utilities fails in fixing these and running it in such a situation may cause more harm than good. The reason is that; let us just say for the example: Your user account does not have access to a folder in “Program Files\Common Files\”. The system optimizer/registry cleaner will list all references to files in the subfolder as errors since it does not have access to the folder and thus cannot see the files. This is due to design and will be the result in the case of 1(depending on infection),2,3 and 4 above. In the case of point 5, the result may be even worse depending on where the error is on the drive. For the above situations, there actually is a freeware that will aid in rectifying the trouble for 2,3 and 5 above, "Windows Repair (All in One)" from tweaking.com. A very advanced utility, but again a word of warning is in place, Do a complete bare-metal or another total backup of your system to make sure you can revert before you begin. It is said that everything is easy once you know how, but sadly the 1-click-for-all utilities targets an audience that for the most part is not in the know-how. I hope that reading the above contributes in making you very cautious, preferably suspicious, when it comes to any and all utilities like todays offering from AShampoo. The bottom line and truth will always be: if it seems too good to be true, it usually is… and you are the one left to face the consequences! Indeed a more conservative package than the recent offering by IObit and the number of "errors" reported are down to a somewhat acceptable level. However, my view on the subject still is the same an I'll more or less repeat the main part of the review I did for IObit. This time, with a recommendations and an additional warning considering it. Ask yourself one question: Is there something wrong with my machine that I notice in my everyday work? If the answer to that is no, why would you try to fix what is not there? Even if the answer to the above question is yes due to a single reason, I will advise you to search the net for that single reason rather than using any 1-click-for-all utility. I mention this because as a senior consultant I have many times had to repair operating systems due to customers' eagerness in fixing their working computers. The only time I <strong>may</strong> advice using these utilities is if a system is generally unstable for no apparent reason, but only after verifying that the trouble is not caused by this short list of what I have experienced to be the real reasons why people have trouble with their machines. 1. Malware infections 2. Insufficient rights to access files or folders. 3. Insufficient rights to access registry keys or values 4. Missing system files/folders 5. Errors on the hard drive 6. Faulty or misconfigured hardware Usually I do find the reason checking the first five above. On General scale, most 1-click utilities fails in fixing these and running it in such a situation may cause more harm than good. The reason is that; let us just say for the example: Your user account does not have access to a folder in “Program Files\Common Files\”. The system optimizer/registry cleaner will list all references to files in the subfolder as errors since it does not have access to the folder and thus cannot see the files. This is due to design and will be the result in the case of 1(depending on infection),2,3 and 4 above. In the case of point 5, the result may be even worse depending on where the error is on the drive. For the above situations, there actually is a freeware that will aid in rectifying the trouble for 2,3 and 5 above, "Windows Repair (All in One)" from tweaking.com. A very advanced utility, but again a word of warning is in place, Do a complete bare-metal or another total backup of your system to make sure you can revert before you begin. It is said that everything is easy once you know how, but sadly the 1-click-for-all utilities targets an audience that for the most part is not in the know-how. I hope that reading the above contributes in making you very cautious, preferably suspicious, when it comes to any and all utilities like todays offering from AShampoo. The bottom line and truth will always be: if it seems too good to be true, it usually is… and you are the one left to face the consequences! If someone is in the need of a wide ranged toolbox for tweaks and other personalizations, this package isn't the worst one, you can choose. However, if you have great hardware (the real solution), these programs are just for "the feel good effect", as Karl mentioned above. I strongly advice to uncheck the registry cleaner, if you are just thinking of using the One Click Optimizer. There's still plenty of decent tools in the program. As for freeware choice, there is another toolbox, I do recommend, Toolwiz Care, has a load of useable tools. One of them is a time freezer - as, Karl, is using to "uninstall via reboot". Thanks for lots af advices, Karl - and thanks to Ashampoo and not least the team behind GOTD for the generous offer.